Embassy Suites by Hilton Denver Downtown Convention Center, Denver, Colorado, USA. 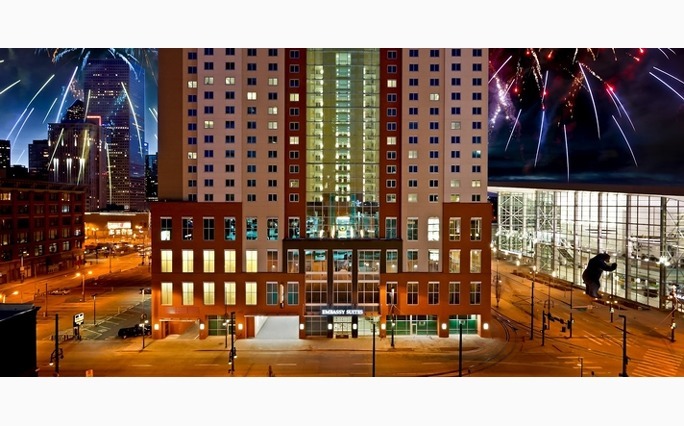 MUM venue Embassy Suites Denver - Downtown/Convention Center is centrally located in downtown Denver. Rooms are selling out fast, but booking.com still shows availability for May 24-26 for $209/night. Aloft Denver Downtown next door is $179/night, and Ramada Midtown (1.8miles miles, 6 minutes drive on usual traffic) as low as $83/night.